To catch bream is experiencing a lot of fun since it bites and ending with the pulling ashore. The usual catches are specimens of bream up to 1.5 kilos, but if you were lucky enough to get a “monster” more weight, it truly luck, or maybe the right approach to feeder fishing. Fertile time for the angler September. The summer heat is retreating and September takes the reins of the weather in their rightful hands. The first month of autumn, September is one of the most successful fishing for bream, because at this time, the fish aktiviziruyutsya before the onset of the cold winter and willingly feeding, picking up nutrients. The bream fishing in September on the feeder. The best time for fishing – clear days, without wind, especially good bite at sunset or dawn. In cloudy, windy weather (but warm) bream can try to catch them in a quiet place where there are no strong waves. If we consider the habitats on the water, bream likes to stay near the bottom, in the spacious holes of about five meters, deep-water creeks with muddy soil. When selecting a location, be aware that this fish likes a sandy bottom, the best bream fishing in September in areas where the bottom is clay and a little silt. If well fed, the fish will be good for places where the bottom is dominated by stones. shallow beach with lots of aquatic vegetation, where the depth increases gradually in this case you will need long-distance casting. Tackle and snap in September are varied depending on the water body, distance to the point of catching and other. Usually for river fishing rod choose length from 3 to 3.5 meters. 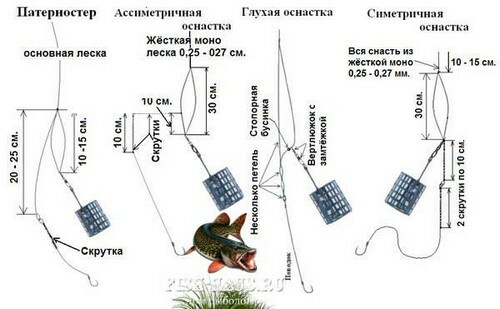 In some cases the use of a longer rod, but for casting then you should choose free from vegetation shore. However, sometimes the long rod helps when fishing overgrown banks, if you use the pendulum cast. Test replaceable vershinki — ( under conditions of fishing: the current, the casting distance — weight feeders) — from 60 to 120 grams. Coil feeder, as a rule, use spinning. If fishing is conducted in a fast current and a bottom, oceanne large stones, then you need to use a reel with a fast retrieve (with a ratio of at least 6:1). The diameter of the spool is selected depending on the diameter of the line. Gear ratio 4.5:1 or 5:1. The gear ratio of the feeder coil at figure 5 suggests that the line bale will make 5 turns (coils on a spool) with one turn of the handle. These inductors have proven themselves on the positive side in terms of quality and compliance for feeder fishing. Lead of feeder — fluorocarbon from 0.12 mm., (sports equipment) 0,16-0,18 mm. (optimum). Now about the hook. It is attached depending on the nozzle. Bloodworm — size number 16-14. For corn, barley, masterki, Hominy you can take a medium size No. 14-8. It is very important when feeder fishing to pick up a bird feeder in accordance with the power flow. For example, the big bream that live in the rivers of Central Russia, often go out to feed on fast jets. To the feeder was maintained at this flow, it must weigh between 50 and 250 gr. Because the food in the fast current washed away instantly, mesh feeders should not have too wide a mesh. On the lake or reservoirs, select the feeder easier, but look at the range of points of fishing and the type of equipment. A helicopter and two site — # 1 in aerodynamic performance. “Method” is used in standing water or in strong current, as the trough in the apparatus is semi-open. The symmetric loop and any other equipment. The symmetric loop and any other equipment. shell-the thick shelled river mussel. So good vyruchat a combination of baits: worm with maggots; the maggots with bloodworms; maggots with corn and many others. The use of mini-boilies. Bream boilies various flavours worth trying, and combine with animal heads. Try the flavours, dips and more. Add a feeder or bait. Before catching better place to lure and better to do it in advance, at least for the day. And if the area of fishing is chosen correctly (in the way of movement or bream in the Parking lot), then the probability that you return from fishing, with an impressive trophy, increased significantly. 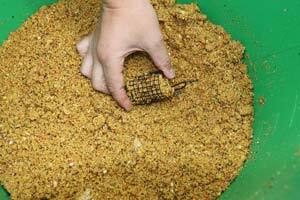 Common bream groundbait is a porridge consisting of wheat, peas, and added ground crackers. This is the basis, but anglers often put in it and other ingredients, in their opinion, it only increases the lure of property, basis. Modern ready-made bait for fishing on the feeder is also good at attracting bream. But the main component that will hold big bream on the point, apply just necessary. In different places it may differ. Somewhere bream respects the soft sweet corn or cooked peas. Don’t forget about barley, steamed corn, millet and so on. Choose the place. Prepare a comfortable area for fishing. Bushes and trees growing back can bring difficulties when casting the feeder. But as they say, fish is not where the fisherman is comfortable, so make the right choice. Prepare the bait. Mixture of purchase should infuse for at least 10 minutes. After preparation and layout of equipment, Gaugeable bottom marker, the sinker or Fishfinder. Lipaemia and conduct initial SCORM consisting of 5-10 feeders. Every 3-5 minutes produce perezapisi. When the bream bite slowly rises, and then goes to the side. To strike at this point, quickly, but not sharply, because the lips of bream are weak, they can be cut with a sharp flick of the rod. As already mentioned, in September you can catch a pretty big bream, so when playing it is advisable to use net.